Andy Butler picks over classic early house in the third Hercules & Love Affair LP The Feast of the Broken Heart. But does it satisfy or is it all a bit stale? Huw Nesbitt finds out. The Feast of the Broken Heart is New York producer Andy Butler’s third album as Hercules & Love Affair, and represents a subtle break from his previous work. Whereas his 2008 eponymous debut was enthralled by the sounds of eighties New York disco, and its 2011 follow-up, Blue Songs was no less enamoured with this style, The Feast… finds Butler seduced by the genre’s close cousin, Eurodance. Gone then, is the high pomp, high energy formula of rolling basslines and strings, and in its stead, a mixture of classic early house sounds with vocal-led pop structures, creating the feel of early nineties continental acts Corona, 2 Unlimited and Ace of Base. Part this stems from Butler’s insistence on maintaining an ensemble cast of singers as he has on previous albums. This time these includes Brit award-winning John Grant as well as less popular names Gustaph, Krystle Warren and Rogue Marie, with each voice lending the album a different emotional hue. On “I Try To Talk to You” a downtempo, moody number, Grant’s vocals are mournful; on the funky stomp of “That’s Not Me” Gustaph is soulful and defiant, and on “My Offence” Warren’s soaring voice is practically ecstatic. Elsewhere, Rogue Marie shuttles between the others, sounding stirring on “5.43 to Freedom”, fierce on “Think” and introspective on closer, “The Key”; it’s a complex approach that gives the record depth and range. 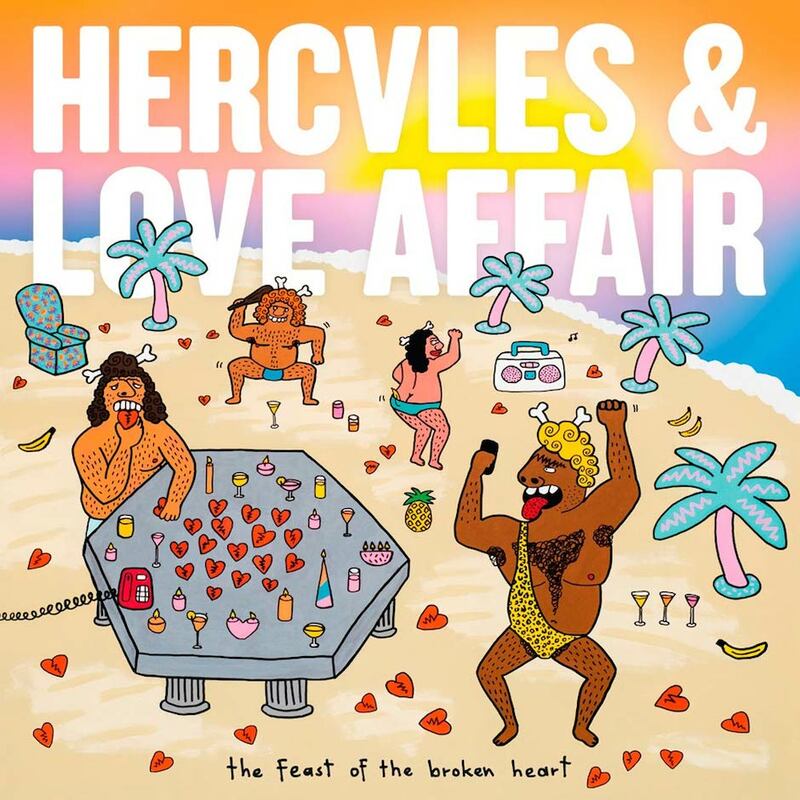 Hercules & Love Affair’s The Feast of the Broken Heart is out now on Moshi Moshi.